When the track Work was released by Rihanna, Fifth Harmony had no choice but to alter the name of their single for avoiding a clash. Originally, the American girl band had intended to use the same name for their latest release, but decided to change it to Work from Home to avoid clashing with Rihanna. However, the band insisted that they had no hard feelings as they were surrendering to their ‘queen’. Dinah Jane, the singer said that they had decided to drop the name Work when they found out Rihanna had used it for her song and had simply added two words to it for making it unique. The band’s second album called 7/27 is due for a release in the latter part of this year and Work from Home is the first single of the upcoming album. The singer said that as opposed to their previous album, Reflection, which was released in 2015, the group had matured and grown up considerably and the new one is a bit edgier and has a new voice. She said that they had been more involved in this project, something they had always wanted and this album provided them with this opportunity. She said that previously, they had still been defining their sound and the direction in which they wanted to go. 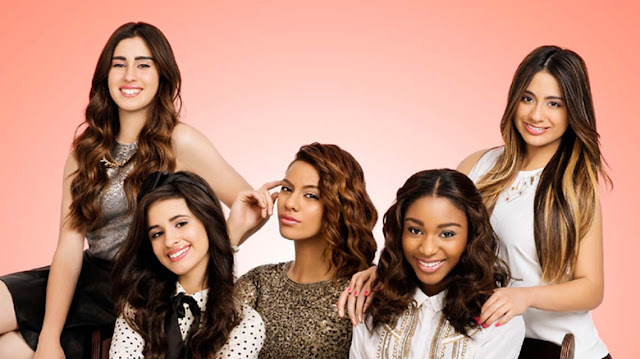 With this album, they have begun a new era for Fifth Harmony and they were excited for its release. Dinah was also thrilled at the prospect of incorporating the individual identities of the other band members, namely Camilla Cabellohave, Normani Kordei, Ally Brooke and Lauren Jauregi, in the album. The Polynesian singer promised that the new album contained a ‘little island’. She said that the new album reflected their unique ethnicities such as her being an island girl and it has become everyone’s favorite.